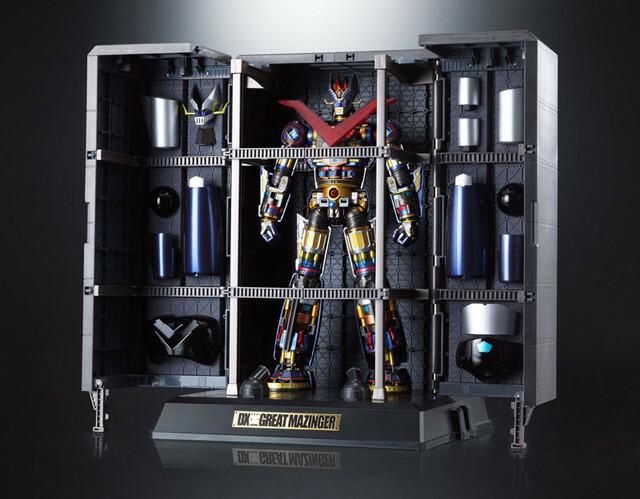 After 2012’s release of the limited edition DX Soul of Chogokin Mazinger Z figure, Bandai has finally announced the next release in the DX SoC line: Great Mazinger! 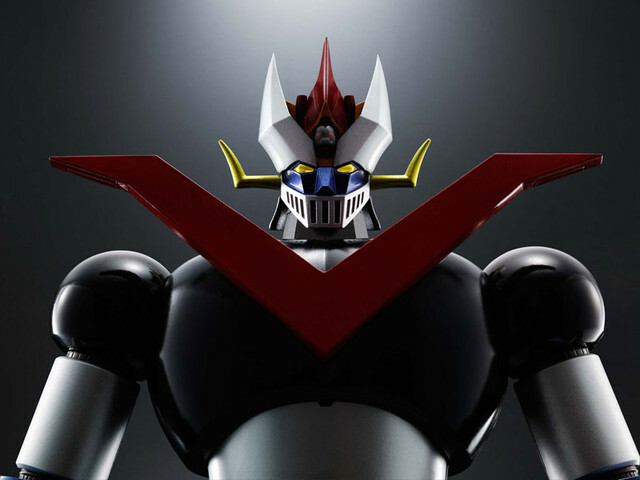 The successor to Mazinger Z in the original 1972 animated series, the Great Mazinger is a powered-up version of the original Mazinger, and it shows in this new figure release! 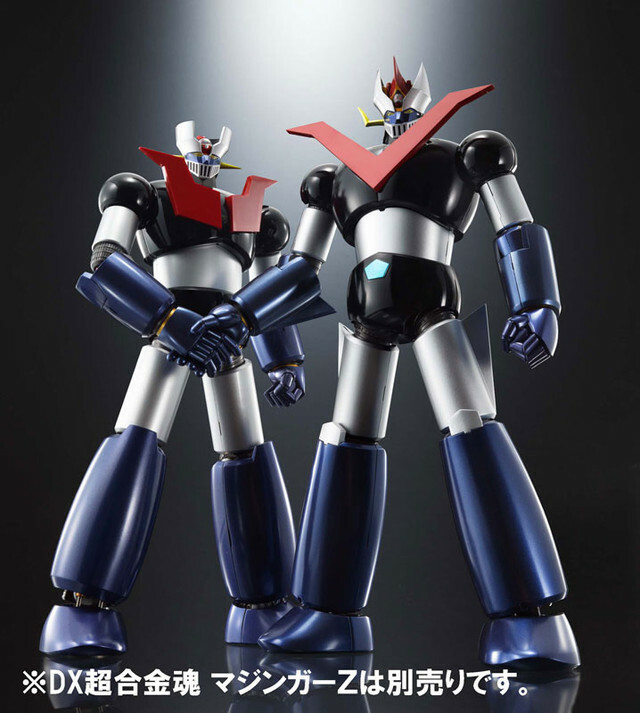 Great Mazinger stands at an impressive 13″ tall, and includes the same features and playability that the DX Mazinger Z introduced, like glowing LEDs in the chest and eyes, sounds from the classic TV show, removable armor, detailed inner frame, and hanger stand. On top of those features, the Great Mazinger comes with a number of new accessories and features, setting it apart from the original Mazinger. These include the Scramble Dash jet pack, its iconic Mazinger Blade, and alternate arm and leg armor pieces to recreate its unique attacks such as the bladed Backspin Kick and the Drill Pressure Punch! All of Great Mazinger’s accessories are even able to be wielded by Mazinger Z, solidifying their status as one of the most iconic robot duos in animation history. The DX SoC Great Mazinger will be releasing this December for 49,800 yen, and will surely be a staple in every Mazinger fan’s collection!